Speech being a unique characteristic of an individual is widely used in speaker verification and speaker identification tasks in applications such as authentication and surveillance respectively. In this paper, framework for secure speaker recognition system using BGN Cryptosystem, where the system is able to perform the necessary operations without being able to observe the speech input provided by the user during speaker recognition process. Secure speaker recognition makes use of Secure Multiparty Computation (SMC) based on the homomorphic properties of cryptosystem. Among the cryptosytem with homomorphic properties BGN is preferable, because it is partially doubly homomorphic, which can perform arbitrary number of addition and only one multiplication. But the main disadvantage of using BGN cryptosystem is its execution time. In proposed system, the execution time is reduced by a factor of 12 by replacing conventional composite order group by prime order group. This leads to an efficient secure speaker recognition. Mel Frequency Cepstral Coefficient (MFCC) works better in noisy environment than that of Linear LPC as per Reynolds (1995). HMM needs higher computation than GMM but while considering the performance results they both are almost same. The ML parameter estimation using Expectation Maximization (EM) algorithm is used iteratively to estimate GMM parameters. It is also noted that the initial parameter for GMM is not making much difference to the final results. The speech feature vectors are separated into segments for performance evaluation. The performance of different models is compared with GMM. BGN cryptosystem is a somewhat fully homomorphic cryptosystem which can perform arbitrary number of addition and only one multiplication (Boneh, Goh & Nissim, 2006). It is based on both Paillier and Okamoto Uchiyama encryption schemes. The cryptosystem depends on Subgroup decision problem of Composite order bilinear groups. The BGN cryptosystem is applied for calculation of 2-DNF formula, Private information retrieval, efficient election protocol without random oracles and universally verifiable computation. 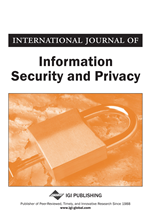 Secure Multiparty Computation (SMC) can be used to compute secure speech recognition (Smaragdis & Shashanka, 2007). Using primitives for computing scalar products and maxima, secure protocols for classification using Gaussian mixture models was proposed. Secure protocols for the forward-backward algorithm, the viterbi algorithm and HMM training was proposed. The protocols are defined modularly in terms of primitives so that future advances in cryptography, which will hopefully provide more robust and efficient protocols, can be readily employed by straightforward replacement. The approach have taken also illustrates the process required to transform a signal processing algorithm to its privacy preserving version. Other data processing and classification algorithms can also be described in terms of secure primitives and easily reformulated for secure multiparty computations.